I love these shirts.....Please read the statement below from Kathy's daughter! Kathy Jones (my mother!) 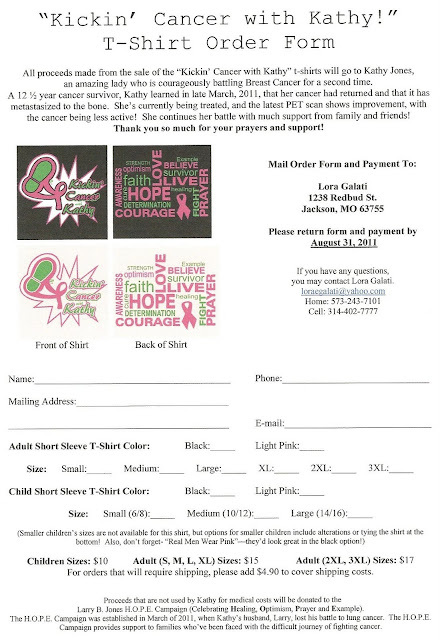 is an amazing lady who is courageously battling Breast Cancer for a second time. A 12 ½ year cancer survivor, we learned in late March, 2011, that her cancer had returned and that it has metastasized to the bone. She's a fighter, and is staying in good spirits! We have t-shirts for sale, and if anyone is interested in purchasing one, you can fb "message" me or e-mail me your e-mail address and I'll send you the order form! 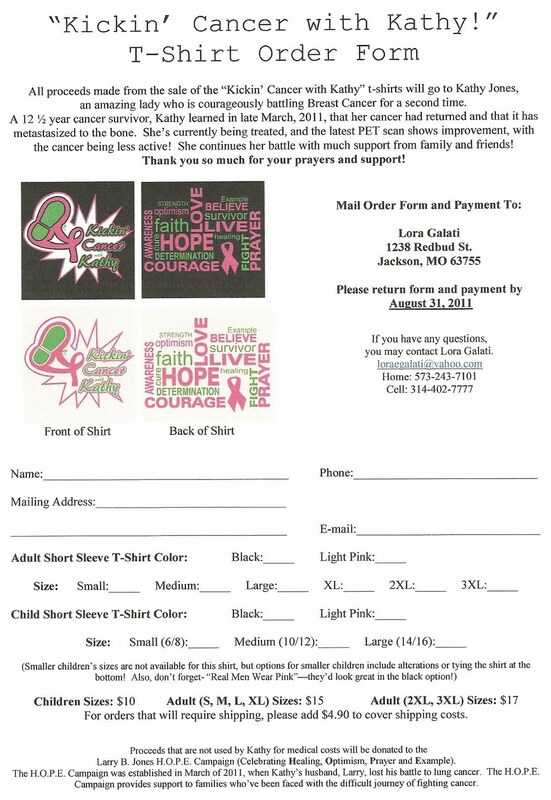 All orders need to be placed by August 31st! Thank you so much for your prayers and support! Please pass this "event" on to your friends who may know Kathy, and who might want to be seen "Kickin' Cancer with Kathy!"